The Trinamul trade union for tea garden workers will launch a survey to know if the benefits extended by the state government are reaching plantations, a move that is seen as an attempt by the ruling party to cement its base ahead of elections to the GTA next year and rural bodies in 2018. "The state has extended a number of benefits to the tea population like crores of other residents of the state. They include food grains at cheaper rates, bicycles for students, financial assistance to girl students and students from the Scheduled Castes and Scheduled Tribes, assistance to senior citizens and likewise. There is a clear instruction from the government that none of the prospective beneficiaries is left out and officials at different levels of administration are working on it," said Mohan Sharma, the chairman of the Cha Bagan Trinamul Mazdoor Union. "Simultaneously, on behalf of the party, we intend to carry out a continuous exercise or a survey to find out whether all beneficiaries in the tea belt are getting necessary assistance and whether anybody is left out. If we find any such case, we will immediately bring it to the notice of the administration," Sharma, who is also the sabhadhipati of Alipurduar zilla parishad, said. Senior Trinamul leaders based in north Bengal said even today, both Trinamul and its trade union lack necessary support base in the tea belt. "Even today, the Joint Forum (which has 20-odd tea trade unions and doesn't include Trinamul's labour wing) is the strongest body representing tea workers. We have our trade union in the tea belt and there are units in most of the gardens. But it would take some more time to build a strong trade union throughout the tea belt, both in the hills and plains. That is why it has been decided that leaders of our party and the trade union who are functioning at different levels will take up the task of visiting each household and find out whether the family is getting all available benefits from the government," a Trinamul leader in Jalpaiguri said. "The move, we feel, can help augment Trinamul's support base. We can also prove the sincerity of our party and the government to these people," he added. Observers said the survey was important as GTA polls were slated to be held next year and elections to rural bodies were scheduled for 2018. 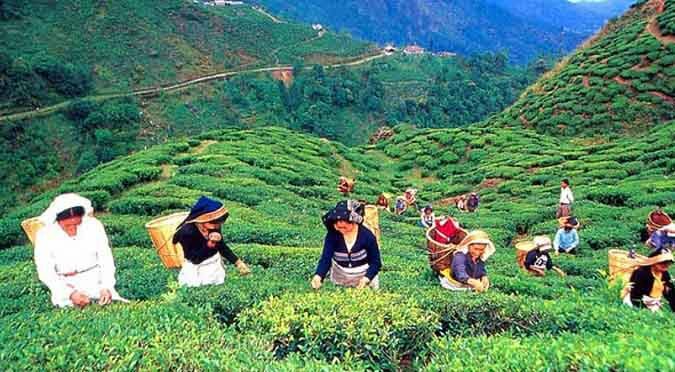 Party sources in Jalpaiguri said a similar exercise of checking the availability of doles from the state government would be carried out in small tea plantations as well. 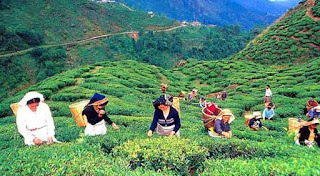 Dima Tea Estate in Kalchini block of Alipurduar district will reopen on Thursday after trade unions have condemned the gherao of management staff on October 22. The decision to reopen the estate was taken at a meeting in the office of joint labour commissioner in Siliguri.